Encourage Yourself With Pastor D.A.Y. 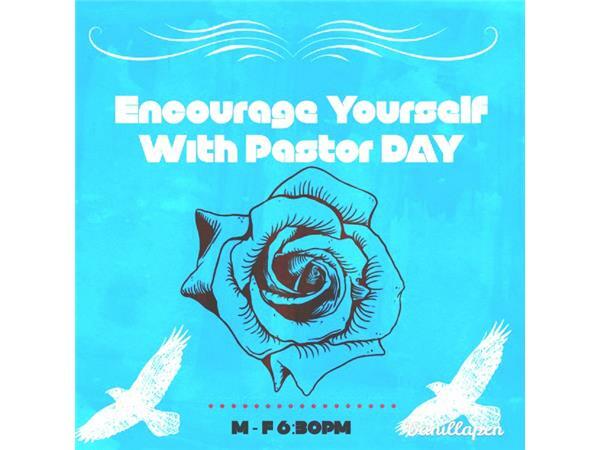 Pastor DAY will give you a word that will inspire you, uplift you, encourage you, and also challenge you to do better. You will also receive nuggets of information that will give you what you need to continue on in faith. You will be reminded of how good God is, and how if he did it once he can do it again. Today is the day the lord has made let us rejoice and be glad in it! Be Encouraged! !